What was the reason for a toddler’s dwindling voice? Vivienne Weil was an unusually quiet baby. “She never cried loudly enough to bother us,” recalled Natalia Weil of her daughter, who was born in 2011. Although Vivienne babbled energetically in her early months, her vocalising diminished around the time of her first birthday. So did the quality of her voice, which dwindled from normal to raspy to little more than a whisper. Vivienne also was a late talker: She didn’t begin speaking until she was 2. Her suburban Maryland paediatrician initially suspected that a respiratory infection was to blame for the toddler’s hoarseness, and counselled patience. But after the problem persisted, the doctor diagnosed acid reflux and prescribed a drug to treat the voice problems reflux can cause. But Vivienne’s problem turned out to be far more serious — and unusual — than excess stomach acid. The day she learned what was wrong ranks among the worst of Weil’s life. At first, Natalia, a statistician, and her husband, Jason, a photographer, were reassured by the paediatrician, who blamed a respiratory infection for their daughter’s voice problem. Her explanation sounded logical: Toddlers get an average of seven or eight colds annually. Weil said the couple assumed Vivienne’s voice would return to normal — and didn’t want to overreact. But Vivienne’s paternal grandmother grew increasingly concerned. Because Vivienne was slow to talk, her grandmother wondered whether she might have a developmental delay or a speech problem and suggested an evaluation by a speech pathologist. During a visit in September 2013, the paediatrician prescribed a liquid antacid for the 2 and a 1/2-year-old. The doctor also approved a referral to an ear, nose and throat specialist. An ENT who saw Vivienne soon afterward diagnosed her with dysphonia — an impaired voice that can result from a problem with the vocal cords. He sent her to a paediatric otolaryngologist for a more complete evaluation. The paediatric specialist listened to her breathe and talk and then scheduled a laryngoscopy. The test involves a visual inspection of the back of the throat. In some cases, doctors use a thin, flexible tube attached to a tiny fibre-optic camera that is threaded up the nose and down the throat to permit inspection of the upper airway. The procedure, Weil recalled, was traumatic for Vivienne and her parents. The little girl, terrified by what was happening, began screaming and had to be held down by several nurses so the doctor could perform the test. Its results were definitive — and explained the reason for Vivienne’s prolonged voicelessness. She was suffering from a rare disease called recurrent respiratory papillomatosis, which is caused by two strains of the human papilloma virus (HPV), a sexually transmitted infection that can be acquired at or before birth. The disease is incurable; it can be treated by surgery to remove the tumours which temporarily restores the voice. The goal of treatment is to lengthen the interval between surgeries while preventing permanent damage to the delicate vocal cords. HPV is ubiquitous; nearly all sexually active adults have been exposed to it. Most people clear the infection from their bodies without ever knowing they had it. But in some cases two strains, HPV 6 and 11, can cause genital warts: benign, sometimes cauliflower-shaped tumours known as papillomas. These warts can occur months or sometimes years after exposure. The Centers for Disease Control and Prevention estimates that 2 in every 100,000 children have RRP, which can be prevented by a vaccine called Gardasil. Federal health officials recommend administering the vaccine, first licensed in 2006, to children at 11 or 12 before they are sexually active. The paediatric ENT told the Weils it was a good thing they hadn’t waited longer to seek treatment. 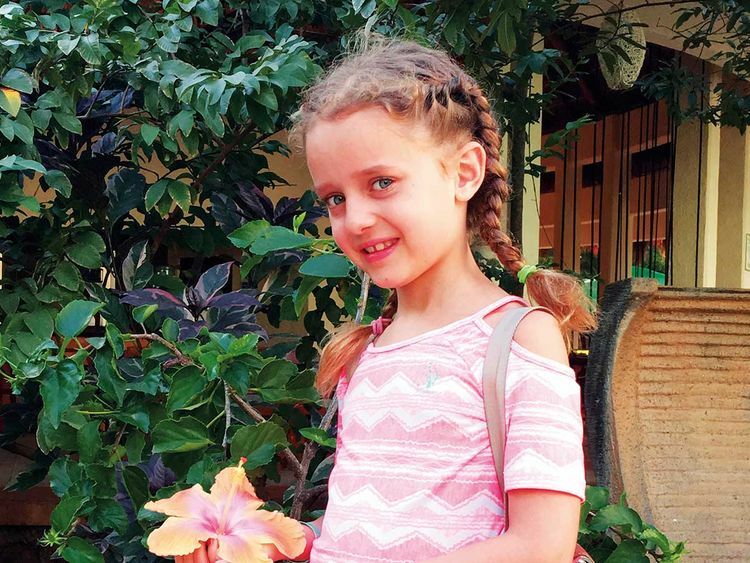 Vivienne’s tumours had grown so large they were threatening her airway. Weil said that she had no idea she ever had genital warts or had been exposed to HPV. In the car on the way back to their Maryland home, she said, she wept as she scrolled through her phone, frantically trying to learn about the disease, terrified that her second child might contract it, too. Shortly before Vivienne’s first surgery in November 2013, Weil sought answers from her obstetrician. How, she asked, could HPV have been missed? The doctor replied that Pap smears performed in 2009 and 2011 were normal. Health officials do not recommend that women under 30 — Weil was 25 when Vivienne was born — routinely receive an HPV test because the virus is so common. “It is possible that you had the virus and then your immune system cleared it so your test was negative in December 2011” — 10 months after Vivienne’s birth, the doctor wrote. Nor is it clear that a Caesarean delivery would have prevented the disease. Experts say that some cases appear to have been contracted in utero. Vivienne’s first surgery, performed under general anesthesia, involved debridement, a procedure that essentially shaves off the tumours. But as is almost always the case, Vivienne’s voice faded to a whisper after a few months as the tumours grew back. For the next few years she underwent simultaneous debridement of both vocal cords every four to six months. In March 2018 after her 11th operation, her voice did not return. No physical explanation could be found, and doctors suggested the cause might stem from vocal cord weakness or psychological factors. For the next six months, Vivienne underwent hypnosis and saw speech therapists to no avail. In desperation Weil posted a video of her daughter on Instagram. She hoped that someone — possibly another parent — might have some advice. Within days, a California woman whose daughter has the disease suggested trying a different treatment. Instead of debridement, she recommended finding a doctor who uses a potassium titanyl phosphate (KTP) laser. Some specialists believe that use of the laser is superior, because it removes more tumour while minimising damage to the vocal cords. “I did a lot of research,” Weil said. She found Simon Best, an otolaryngologist and researcher at Johns Hopkins who studies the disease and is an expert in laser treatment. Weil said she tried unsuccessfully to make an appointment with Best but was told that he is not a paediatric otolaryngologist and therefore doesn’t treat children. Undeterred, she searched a medical database, unearthed his email address and sent him a message describing her daughter’s case. Best agreed to see Vivienne and Weil’s insurer approved the out-of-network visit. Best, an associate professor of otolaryngology, estimates that in his 13-year career he has treated about 100 people, mostly adults, who have RRP. (An adult specialist, he treats patients of all ages with the disease.) Some developed the disease as children. In others, it arose in their 30s and 40s, a decade or so after HPV exposure. Best treats only one vocal cord at a time to prevent webbing, which occurs when the vocal cords grow together and can harm the voice. “I was pleasantly surprised that there wasn’t a huge amount of scarring,” said Best of Vivienne, whom he first saw in September 2018. The first laser surgery on the second grader’s right vocal cord occurred in November 2018; her voice returned, but remained raspy. A second operation on the left vocal cord in January 2019 has had excellent results. A few days ago Vivienne underwent a successful repeat procedure on her right side. “This is the best she has ever sounded,” said her mother, adding that even the noise of her daughters’ squabbling delights her. It’s difficult to predict how many surgeries Vivienne might need, he said. It’s unlikely to be just three because recurrence is the rule. “Everyone has a unique clinical course,” Best added. The otolaryngologist remains a strong proponent of the HPV vaccine, which can prevent the disease. Weil said she plans to immunise her daughters and to get the vaccine herself, which could protect her against other strains of HPV. According to the CDC, only half of American adolescents have been fully immunised. By contrast, Australia, which has promoted free immunisation in schools for more than a decade, has dramatically reduced cases of cervical cancer and genital warts.